This celebration of music and art takes place in the beautiful Old Wadena Park on the west the Crow Wing River just a short drive from the city of Wadena. is $10 for a weekend pass or $8 for Saturday and $5 for Sunday. Children under 12 accompanied by an adult are free. You will find two days of great acoustic music under a big tent that provides shelter in case of rain. In the recent past we have hosted musicians such as Dakota Dave Hull, Tim Sparks, Dean Magraw, Curtiss & Loretta, Cliff Eberhard, Eric and Kip Peltoniemi and Annie Humphrey. The artisan tent features weaving, pottery making, wood carving, painting, musical instrument making, quilting, blacksmithing and birch bark basket making among other arts. The Rendezvous encampment provides the rich atmosphere of the fur trade era, and features a wonderful fry bread restaurant as well as a cast of very interesting Rendezvous enactors. The festival is sponsored by the Old Wadena Society, a non-profit organization, whose mission is to preserve and share knowledge of the nature and history of Old Wadena and to encourage the folk arts. The artisan tent features weaving, pottery making, wood carving, painting, musical instrument making, quilting, blacksmithing and birch bark basket making among other arts. 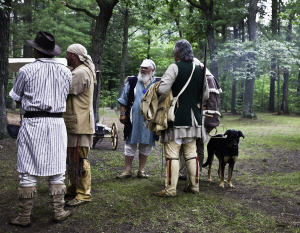 The Rendezvous encampment provides the rich atmosphere of the fur trade era, and features a wonderful fry bread restaurant as well as a cast of very interesting Rendezvous enactors. 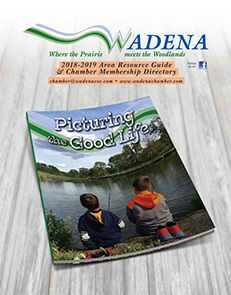 The festival is sponsored by the Old Wadena Society, a non-profit organization, whose mission is to preserve and share knowledge of the nature and history of Old Wadena and to encourage the folk arts.